A MOTHER and daughter have taken on a new challenge that has seen them drop stacks of kilos. 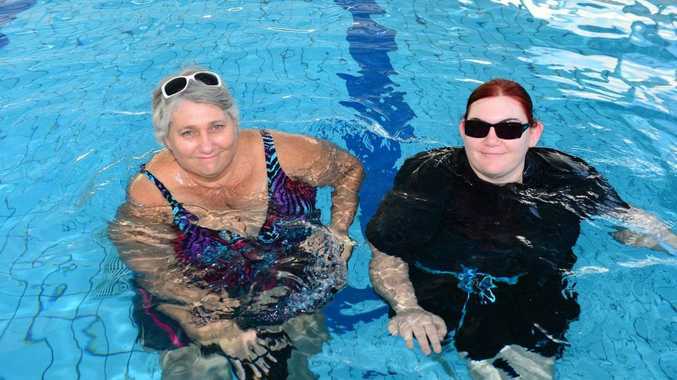 Tracey and Tegan Wilson are part of a Weight Watchers group that has lost 200kg collectively. Tracey said that she and her daughter couldn't be happier about making the decision to get fit and healthy. They have been part of Weight Watchers since November, and have recently joined a four-week challenge. Tracey said the group met once a week and members were motivated by their team leader, Kylie Esler, who kept them on track. "Kylie gives us a schedule and ticks off that we've done our exercise and writes down our weights," Tracey said. Weight Watchers leader Kylie said the two women and the rest of the group were determined to drop the weight. "We follow a program, weekly meetings where we do their weigh-in and we educate members about what foods to eat and how much they should be eating," she said. Tracey says it can be tough to stay on track, but she has plenty of motivation. As well as having to lose weight to get knee replacement surgery, she has little grandkids to chase after. "I want to be able to do stuff with my grandkids," she said. But some days can be hard, and Tracey says you do have your bad days. "Things are a bit easier with having Tegan (her daughter) as support and going through this with me," she said. The pair have been busy using the new Southside pool to exercise in and Tracey said they had changed their eating habits. "The program shows you that you can eat everyday food in a healthy way, but we've completely cut out soft drink," Tracey said. Tracey has already lost close to 24kg in just 31 weeks, and Tegan, 26, is not far behind. Tracey said her goal was to lose 30kg in a year and she is well on her way to succeeding. "We support each other and our Weight Watchers group is great support too," Tracey said.